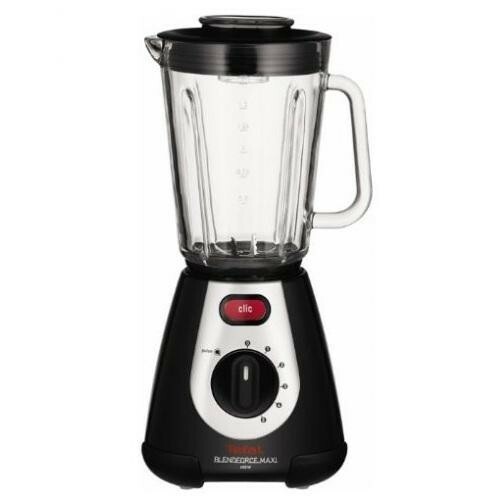 The Tefal BL233865 Blendforce Jug Blender 600W Removeable Blades is the ideal kitchen appliance that will help you blend your favourite ingredients to make delicious soups or fruits to make mouth watering juices. The 6-Blade Tripl'Ax Technology will effortlessly slice through your food as it uses 2 upward serrated blades that act like a cyclone, 2 downward sharpened blades that ensure there are no chunks left at the bottom and 2 horizontal serrated sharpened blades ensure you blend is left smooth. The 5 variable speeds enable you to be in full control of the blender while the pulse setting is there for when you need that little bit of an extra boost. The 2 litre capacity enables you to make enough for the whole family and the blades are removable making the blender extremely easy to clean after use.